Judith delivers an exceptional lesson experience and ranks in the top 15% of our teachers nationwide. ceremony, the reception or for the 1st dance! 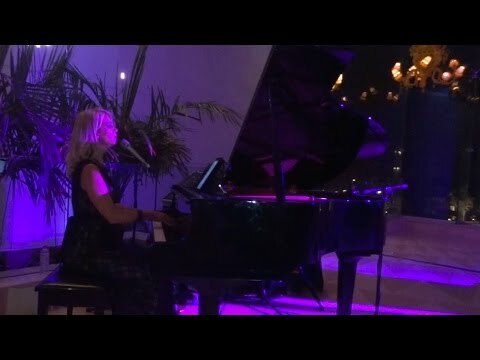 My arrangements of pop/jazz/musical songs are very intimate and special, especially due to the fact that I interpret them with my voice and piano! Of course I also offer instrumental music and classics like 'Here Comes The Bride', Canon in D or 'Jesu, Joy Of Men's Desiring'! solo, in a jazz trio or with a 5 piece show band! Now I live in Houston, TX and work from here! EVTS is a popular vocal technique mostly to control the different sound ideals of your voice. The main focus in part II was the 'belting technique' which is required for Broadway and Musical singing. Judith has a very pleasant and kind manner that completely put me at ease. She is excellent at her craft and I left my first lesson very satisfied and with clear direction on how to improve. Can't wait for my next lesson! Judith has been teaching my two young daughters German for a few months now, and it couldn't be going better. Judith is patient and puts a lot of effort into ensuring that my daughters are making progress. The girls have learned a lot and really enjoy their lessons. Judith is an amazong teacher. She has patience and lots of positive energy. She really reached my daughter and was able to help develop her understanding of how to sing, how to use her mouth/body as an instrument. I highly recommend her for anyone looking to improve their singing! Judith is a true professional. She is a great teacher that is driving me to new heights each session. I have noticed a major change in both my voice and confidence since working with her. She is both knowledgeable and considerate. She has expanded my vocal range and my knowledge of managing my vocals all while being considered of my goals,style and limits. I can honestly say that while working with Judith, you will grow and further develop as an artist!I’m happy that she’s my vocal coach!!! Judith is a wonderful teacher. At 16 my somewhat shy daughter decided she wanted to pursue singing. She had been in school choir but never taken lessons. Judith has brought my daughter out of her shell. She looks forward to each lesson and enjoys her time with Judith. Judith is professional and talented and understands how to relate to the younger generation and make them feel completely at ease. I feel she is such a positive influence that we plan to continue singing lessons as long as long as my daughter is happy doing it. Thanks Judith. We appreciate you! 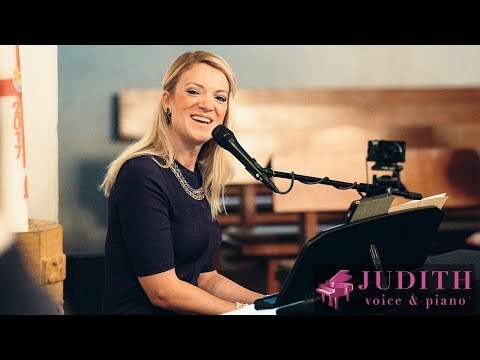 Judith helps tremendously when it comes to more confidence with my voice! She is very ambitious and puts her energy into every lesson in order to help me to sing with more power and strength! I got more control over my voice and feel like it's getting easier and easier to sing higher without cracking. I'm happy to call her my teacher! Thank you! A very lovely person who is very skilled in teaching. She's kind, patient, understanding, & definitely knows what she's doing! Judith is a once in a lifetime mentor and voice coach that will work with you no matter where you are in your musical journey. She's been flexible, kind, and patient with me despite the fact that I had no prior musical experience whatsoever. I really can't put into words how much she's helped me in developing a creative outlet for myself. She also has a great concern for her student's health and emphasizes teaching how to sing in a healthy way without damaging one's voice. I've been her student for just a few months and I feel like I walk away with significant improvement every time I see her. Overall, I simply can't recommend her highly enough. Great instructor, I'm noticing a lot of improvement with my German. Her teaching style is laid back and easy to follow. Thanks Judith! One of the best lessons we ever had. Judith was absolutely perfect. Extremely patient and very very good at connecting with our daughter. In our first lesson, she had a very shy girl singing with confidence. If you have a chance to get on her schedule, do it quickly. She is great.